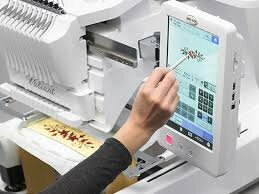 New to multineedle or free arm embroidery? Or just need a refresher? We cover basic operation of BabyLock & Brother multineedle machines including topics like threading, assigning thread colors, basic care and maintenance, hooping, design placement, and more. Please bring your manual and a notebook to write in. Nothing else needed.